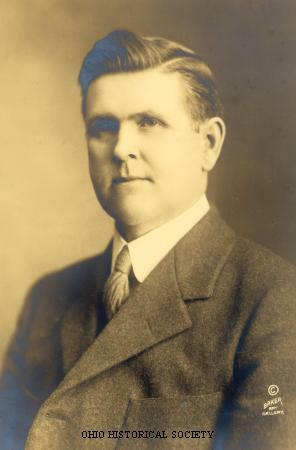 Photograph of A. Victor Donahey (1873-1946), ca. 1924. He served three consecutive terms as governor of Ohio from 1923 to 1929, and was notable for dramatically improving Ohio's roads and reforming the state's judicial system. Ohio History Connection SC 2515, AL04507 from the A. Victor Donahey Collection.